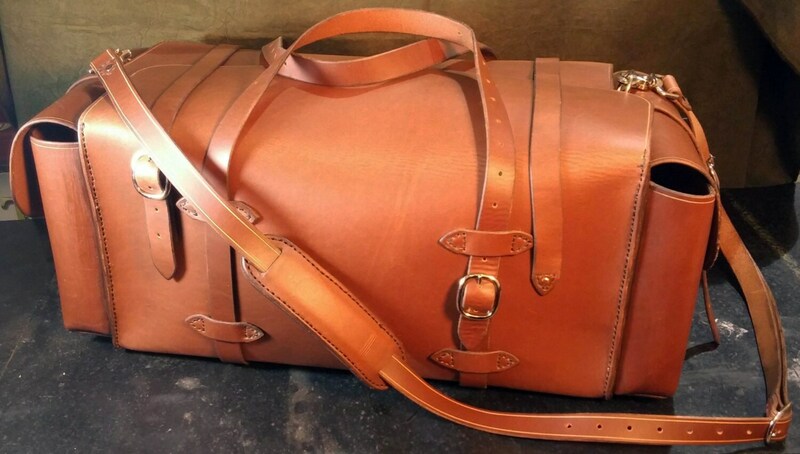 This listing is for a duffel bag that is handmade out of rigid 9-10 oz latigo cowhide. The bag features a main storage area which closes via two buckled straps, and two smaller pouches at each end of the bag, also closed via buckled straps. The flaps on the main storage area fold over each other, keeping everything inside secure during travel. The entire bag is hand-stitched with waxed polyester thread, which will ensure years of solid use. The bag is carried via a modular strap which can be easily attached as a carrying handle, or removed to secure extra gear. The bag also has a shoulder strap that clips onto the D rings on the sides. If you'd like I can line the main compartment in pigskin for $25 extra, message me before ordering to set this up. 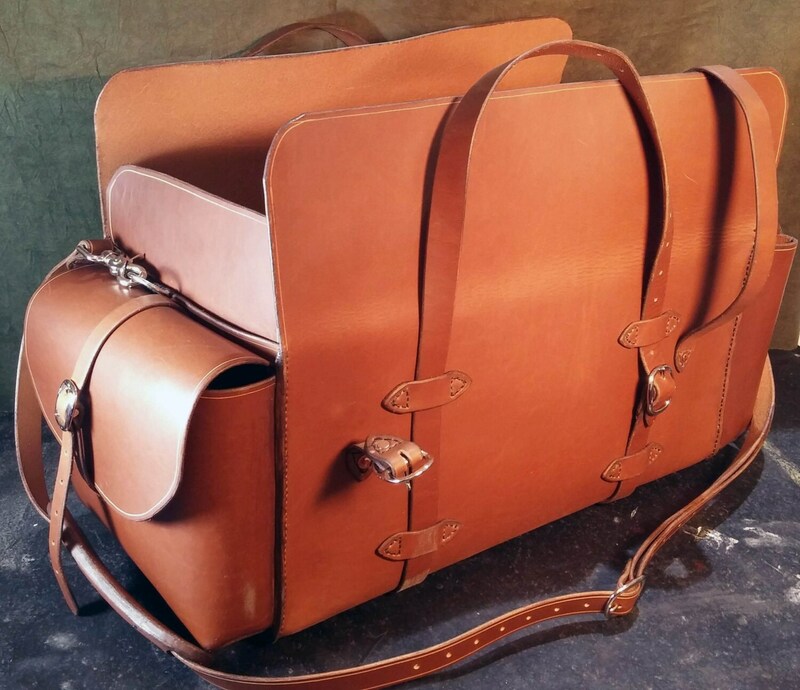 If the "Natural" color option is chosen, the bag will be made out of vegetable tanned cowhide, rather than Latigo. I also offer a larger duffel bag in a separate listing. Same basic design, with different dimensions. As always, customization is available, feel free to message me for details.